Ready to learn the ropes of climbing? Want to explore the country? 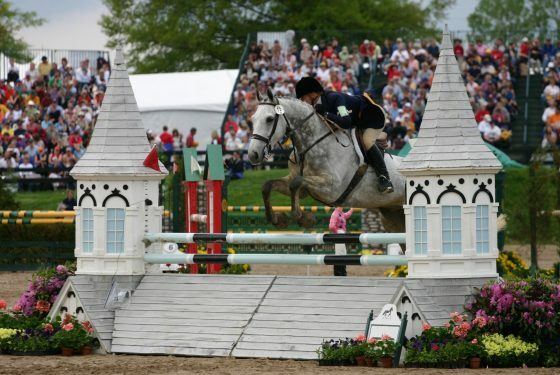 Feel more at home on a horse? Want to feel the wind in your sails? Dreamed of exploring life beneath the surface? The Wisconsin Hoofers is the premier outdoors club at the University of Wisconsin-Madison. With nearly 2,000 members, Hoofers is one of the oldest and largest student organization on campus. From sailing on Lake Mendota to climbing at Devil’s Lake, Hoofers is a place where people of all abilities can learn outdoor skills and enjoy outdoor activities. Hoofers is proud to be part of the Wisconsin Union Directorate, the student programming and leadership board for the Wisconsin Union. Get outside with us and hoof on! From conquering the rock wall at Boulders Climbing Gym to traveling the country in search of the most challenging climbs in the country, Mountaineering Club members take trips that challenge climbers of all levels. From canoe trips and backpacking excursions in the fall, to snowshoeing and cross-country skiing in the winter, Outing Club members explore the country through wilderness excursions. From horseback riding lessons to schooling shows, Riding Club members are involved in all the ins and outs of riding and horsemanship. From learning how to sail a C-Scow to weekly Friday night socials, Sailing Club members spend time with fellow sailors on and off the water. 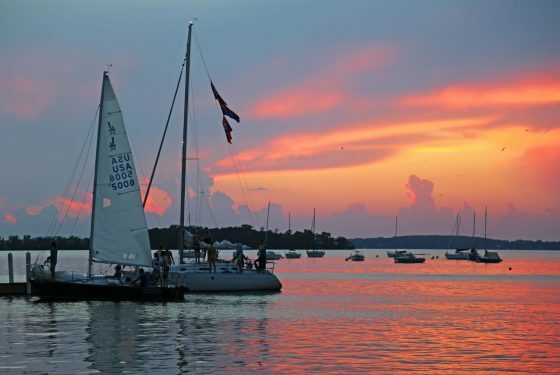 The Sailing Club’s claim to fame: they have the second largest inland fleet of boats in the nation. From year-round trips and training sessions to socials with other divers, Scuba Club members (both certified and not) explore life beneath the surface. 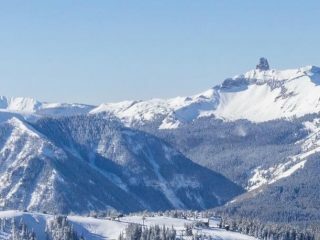 From weekly trips to Tyrol Basin to the Jackson Hole spring break excursion, Ski and Snowboard Club members know how to take advantage of winter. 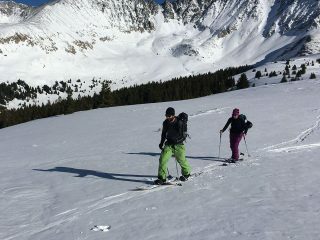 We offer six clubs: Mountaineering, Outing, Riding, Sailing, Scuba, and Ski & Snowboard. You can join as many clubs as you'd like! For more information, check out each club's site from the menu above, or head over to the Clubs page for an overview! When you're ready to join a club (or multiple clubs! ), head over to our member site at https://members.hoofers.org to create your account! You must be a Union Member to join. Note that UW-Madison students are automatically granted Union membership. 3. Sign Up for Events! Once you've joined a club, you can search for events and sign up from the Member Site. Pick your favorite event, sign up, and get ready for an adventure! Meet our New HOI, Mills Botham! We are happy to announce our new Summer 2019 Head of Instruction, former Commodore, Mills Botham. "I am deeply honored to accept the Head of Instruction Position for Summer 2019. The Hoofer Sailing Club has been my home for more than half my life; I'm overjoyed to be able to continue to serve the Club in this new capacity, and to get to be a part of this incredibly exciting period in our history. I have high hopes for a wonderful summer and look forward to seeing all of you around the lakefront!" Hey Hoofers! 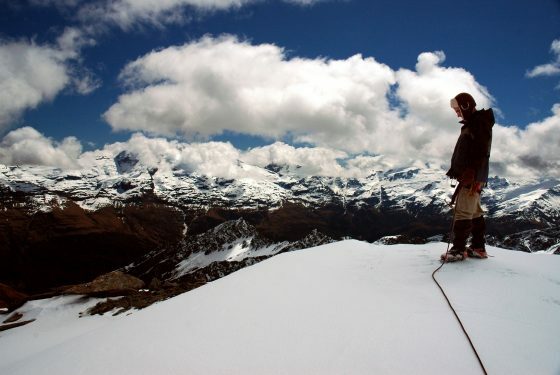 Come join Isabel Rojas-Viada and your fellow Hoofers in sparking a dialouge about big mountain climbing. 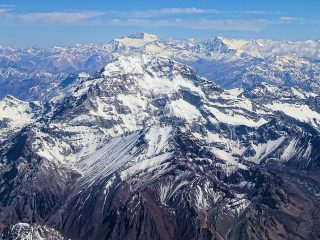 She will be showing photos and telling stories of her climbing experiences on Aconcagua - the highest summit in South America! Bring your most adventurous self! As a tribute to the unveiling of our winter break trip to Telluride, Colorado, I am dedicating this blog post to getting all of us stoked! What’s up climbers! 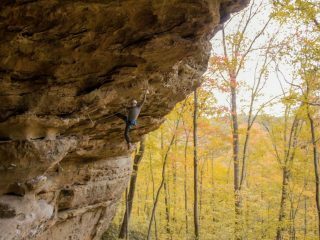 This trip was an intro to sport climbing trip to the Red River Gorge, Kentucky! Paddle and Portage at Picnic Point! We will meet in the limnology parking lot. We are looking for some early risers to help us get barricades setup. Meet at the limnology parking lot at 6:30am. You will be responsible for signing in/out volunteers, as well as keeping track of work hours. Come swing by the Mendota Lounge to talk about all things sailing! I'm holding (very informal) office hours for anyone and everyone to swing by and ask questions about the club in a more personal setting. If you cannot make it, e-mail me at commodore@hoofersailing.org to set up a different time. Hoofer Council meets weekly from 8:00 to 9:30 pm on Mondays. Your Commodore, Lukas Duddleston, represents the club at the Hoofer Council level. If you had ideas, questions, concerns, etc. that you believe should be taken up at the Council level, please email the Commodore at commodore@hoofersailing.org. Additionally, this year's VP-Admin on Council is one of our own, Charlie Childs. She also serves as the sailing club's treasurer. Sign Up: Sign up on the wait list. I wil make the final decision based on previous recent experience. What? The focus of this trip will be to refine paddling skills, to paddle with some speed and distance, and to introduce a few navigation concepts. Every SK0 paddler who attends will have previously practiced rescues with me in the pool. We won't be practicing rescues on this trip. (Please Note: We will *not* be doing any intentional swimming.) I will lead up top 4 others. If another leader joins, we can open this up for others. Clothing: Non-cotton synthetic layers (your own), wet suit (from the club), or dry suit (your own), paddling jackets (from the club), wool hats (your own), water shoes (your own), and helmet (from the club). Warm synthetic layers to change into afterwards (your own). Also bring a water bottle that floats and snacks in a dry bag. Where: Meet at the Boathouse promptly at 6:15pm already dressed in your synthetic layers ready to proceed with final gear up and go. Where: Meet at the Boathouse promptly at 1:00pm already dressed in your synthetic layers ready to proceed with final gear up and go. I've paddled many rivers and the Pine is one of my favorite rivers anywhere, so you don't want to miss this opportunity. This will be an excellent introduction to semi-wilderness canoe tripping and would be good practice for other trips I hope to lead in Canada later in the summer. 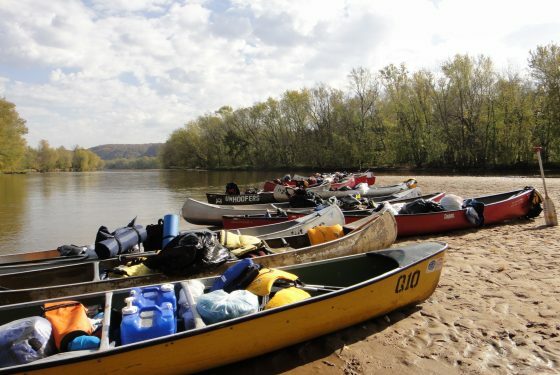 Update as of 4/24/2019: Since no Hoofers have signed up as of yet, I have headed north to do some paddling. Hoofers are still welcome on the Pine trip, but somebody else will need to take charge of food, equipment, and transportation. This beautiful spring weather has gotten us excited to do some paddling! Ever wondered what it’s like to carry a canoe on your head? Now’s your chance to try it out! Join us on an afternoon canoeing adventure out to Picnic Point. We’ll leave from the union and paddle as a group out to the peninsula. Once there, we’ll teach, demonstrate, and practice our portaging (canoe carrying!) skills and maybe do a relay race or two. After enjoying some yummy snacks we will paddle on back to the union. To participate in this event you must have a canoe lake rating and have passed your swim test. Other than that, no other prior experience is necessary. If paddling and/or carrying canoes is new to you come learn and give it a try! If you are well versed in either/both come and help teach some fellow hoofers! We will meet outside Mendota Lodge in the basement of Memorial Union at 3 pm on May 3rd. I recommend coming in clothes you wouldn’t mind getting a bit wet and sturdy footwear you can carry some boats in. Sign up on the event page. Thanks! Meet at the lakefront in the limnology parking lot. We need 2 crew on each shift to assist the designated motorboat drivers to help position the Keelboats after they are splashed into the water. Towboats will then be needed to tow some of the boats to the Hoofer piers or out to their pins. No experience required, but a motorboat rating would be a plus. Meet in the limnology parking lot. Assist in the initial rigging of the J/Fleet. No experience necessary! Each boat will need some crew to stay with them through the Lift-In process. A variety of miscellaneous tasks will also be needed. More directions will be given by the Instructor of this lesson. Please sign up to help as this is the Club's BIG DAY.